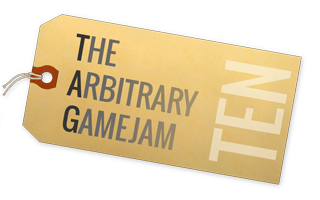 See the 4 core rules on The Arbitrary Gamejam overall series site. Submissions must come in within 12 hours of the Gamejam ending. (Must be submitted by Tuesday May 13, 07:00 AM). Submissions must be original works, no plagiarism. You can use any type of freely and publicly available assets and publicly available game engines, tools, plugins, and frameworks, but please list all of them in the credits or with your game submission(s). If you win, you will be responsible for hosting the next one, typically the first weekend of the next month, June 6-8. Since this month's jam runs extra long, you might want to start thinking about ideas for the next TAG and tidying up your site or dev blog. If you know that you will be unable to host the next TAG, then please indicate it in your submission. 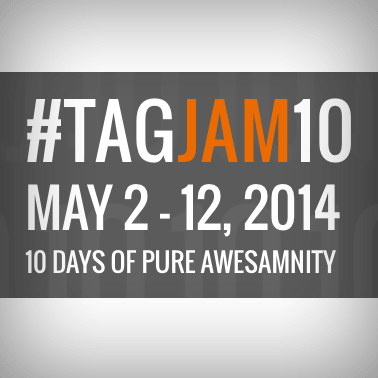 Entries will be judged by Andrew and Wanni (winners of #TAGjam9, host of #TAGjam10). If there are more games submitted than usual, then the judging results may take longer. Your game will be judged higher if you follow these optional bonus rules. You can perform an Arbitrary Gamejam Combo Move by following both of these bonus rules! This bonus rule is designed to help you get more out of your gamejam experience, and share your journey and newfound wisdom with others. Post a piece of respectful and constructive feedback or encouragement to at least one or more other jammer's thread by the submission deadline for each update that you post. Even an incomplete or broken game can win the challenge through this route if you provide an exceptional story of your progress and lessons learned during the gamejam. Just make sure you submit the permalink of your updates thread with your game's submission for easy reference. At any point in the gamejam's official duration, record one or more videos (see awesome instructions from Global Game Jam 2014) of any person who is a mother, grandmother, step mother, foster mother, mother-in-law, or other mother-figures playing your game or giving input/feedback on your game. If the mother does not speak English, please provide an English translation/transcript of what the mother said. Any mother on your team (including yourself if you are a mother) can also be used for the video. Happy Mothers' Day! The video's link should be posted to your game's update thread (See Optional Bonus Rule 1). If you are not participating in Optional Bonus Rule 1 (Diary of a Gamejammer), then you only need to submit the link to the video with your game submission. If the mother uses profanity in the video (or there is NSFW content), please indicate it in your post or bleep/blur it out. There may be mothers with kids watching! Let's not make it any more awkward for them than it already may be.